According to the calendar it’s still winter, but it feels like we are on our tippy-toes, hanging over the edge, soon to land softly into spring. As I walked outside this morning I saw signs that Nature’s battle between cold and warm is playing out every day now. 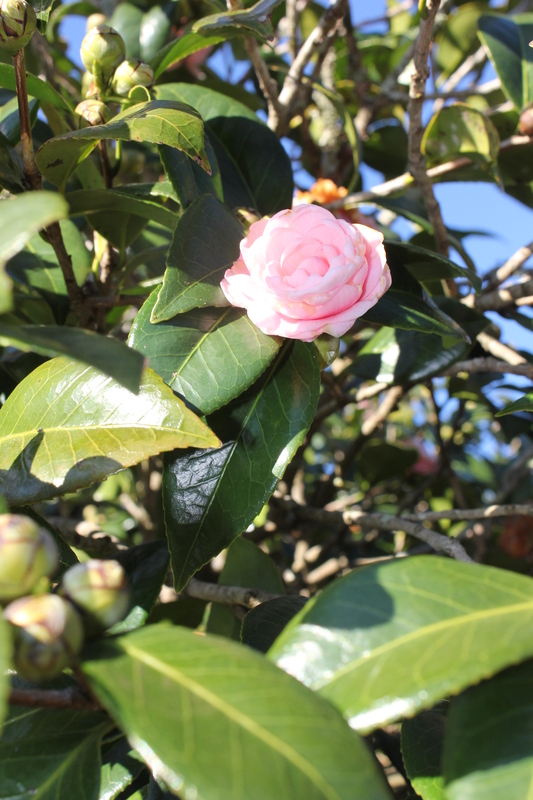 In January the Gardenia tree was covered with soft pink blossoms but they are now almost all dying, rust colored and littering the ground. The wild Azalea bush along the fence line has been trying to blossom early, sometimes caught in a typical evening frost but fighting every morning to come back. 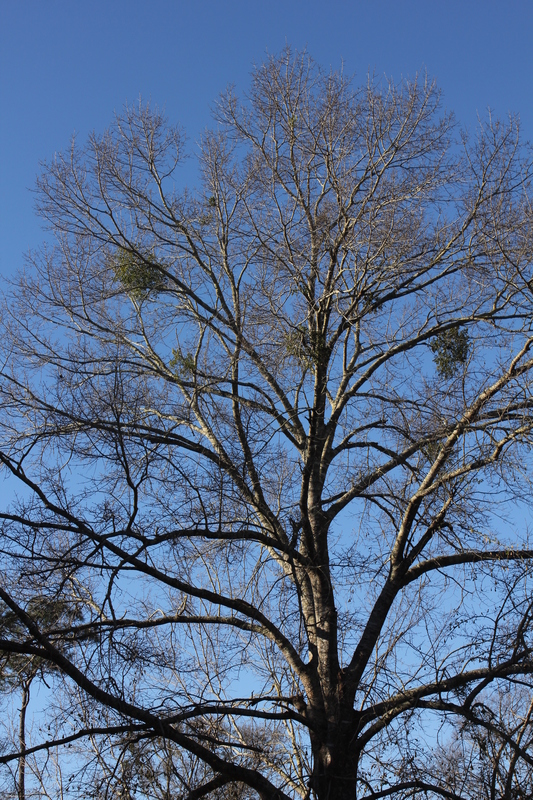 The oak trees are still bare and I notice the Water Oak shows signs of decay, mistletoe entangled in the tall, high branches. Will this be the year it has to be cut down before a storm drops it on my building? It will need to be replaced though as that is part of my legacy, planting trees wherever I live, a new start, a promise to the future. The County’s water retention pond in back is empty. Soon with the spring rains it will fill with water and the frogs will burst into song. The wild animals depend on the area for their nests, water and safety. As usual the Border Collies run full tilt around the yard, burning off a night’s rest, energized. Even this run does not dampen their need for more activity. They return to the house and play inside some more. Sigh. Yesterday I picked up some gardening seeds, impatient to get on with my plans for home-grown vegetables and herbs. Yet I know that when the temperatures hover around the high nineties and the humidity is stifling, I will cocoon inside and forget to water the plants. Each year I try to do better, to be a better mother over my growing seeds. With the battle between winter and spring comes rain, thunder and lightning, each storm worse than before, or so it seems. Each tornado warning blares on the television, my Ipad, my Iphone, in emails. There is every attempt to protect humans from Nature. Yet the storms pick and choose their victims, the latest tornado dropping it’s destruction a mere fifty miles north of here. Too close, too dangerous. But it is part of living in the south, the warmth, under the blue skies and strong sun, living minutes from the ocean breezes, the sand and waves. Soon. We are on the edge of renewal, rebirth and we can come out of our shells and welcome flowers, green grass, coffee on the porch and evenings watching the Cardinals and Doves and Mockingbirds. Soon. We are on the edge. 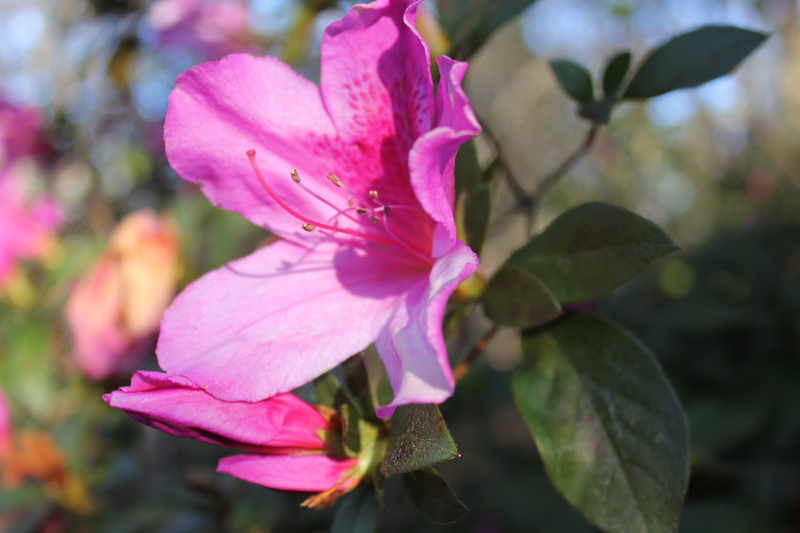 This entry was posted in border collies, Florida, florida wildlife, Retirement Life and tagged gardening, impatient for spring, spring, spring in the south, tornado. Bookmark the permalink.